Experts predict HR will be right in the middle of big developments in the business world this year. In 2019, experts say HR professionals will experience blockbuster challenges and technology so intelligent that it will make texting seem ancient. Jeff Griffin, CEO and president at JP Griffin Group, a national employee-benefits-consulting firm, believes that all roads lead to controlling benefits costs. But employers won’t push as hard at promoting consumer-driven healthcare. Since the Cadillac tax was delayed until 2020, which imposes a 40 percent excise tax on high-cost employer-sponsored health plans, Griffin expects employers to pick up more employee costs. As a cost-controlling strategy, telemedicine will also be embedded in more benefits plans and drive how employees access healthcare, he adds. A new platform called HealthJoy, he says, helps workers schedule telemedicine visits, identify the least expensive facilities for tests like MRIs and reminds them via text to fill important prescriptions for chronic conditions like high blood pressure. Another target will be student loans, experts say. The HR function in 2019 will explore how it can help employees pay off this debt, especially since it prevents some from participating in 401(k) retirement plans, says Bill Gimbel, president of LaSalle Benefits, an insurance-brokerage and benefits-consulting firm. Meanwhile, healthcare administrators are getting smarter and wiser about collecting their fees, which may negatively impact high-deductible health plans. Gimbel says he knows of at least one OB/GYN practice that places pregnant women on a payment plan to ensure it receives full payment for its medical services throughout their pregnancy. More apps can now leverage big datasets to deliver a unique healthcare experience for employees, says Dan McMahon, principal on the center for health innovation team at Mercer. “The next phase of the game is applying geo-fencing [virtual perimeters] to the healthcare journey,” he says. Imagine an employee walking into a hospital’s emergency room, McMahon says. An app will learn of this person’s location and text him or her about a nearby urgent-care facility that’s cheaper and has only a 20-minute wait for an appointment. Behavioral-health apps are also using data to identify local doctors who demonstrate clinically proven, evidence-based, patient outcomes, he says. Other technologies will serve as one-stop shops for measuring human capital, McMahon says. 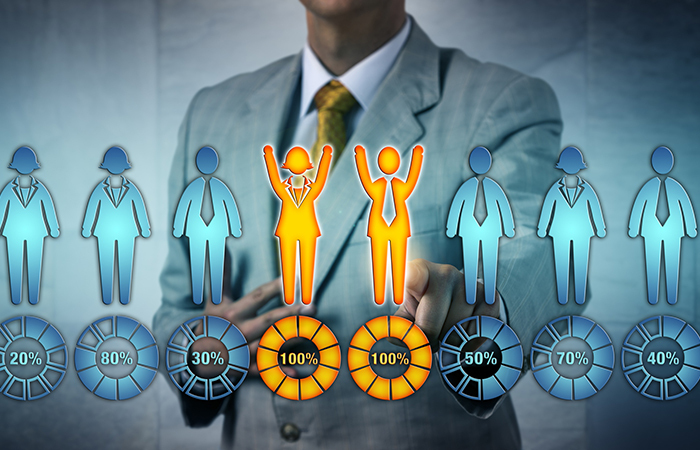 By collecting and measuring data across many HR areas, he adds, these apps will help HR connect the dots, such as linking employee-engagement rates with performance metrics. Even tools called co-bots may be introduced into the workplace this year, which perform tactical, repetitive and structured tasks, says Ross Sedgewick, digital workplace and team collaboration expert at Unify, which provides communications and collaboration solutions. He explains that these bots could “attend” meetings and take notes for employees when they are double-booked, giving workers more time to engage in human tasks like innovation and problem-solving. On the people side, expect more C-suite collaboration, says Chris Havrilla, vice president of HR technology and solution-provider strategy at Bersin, Deloitte Consulting. Likewise, growing technology firms will compete for traditional talent, prompting bigger demands for non-tech workers, such as sales managers or finance professionals.